"Why not try to create a sense of hope or provide inspiration to the viewer, instead of primarily provoking feelings of despair? The participants in this study are quite adamant about their wish for more diverse portrayals of their continent," says Beathe Øgård, president of The Norwegian Students' and Academics' International Assistance Fund (SAIH). 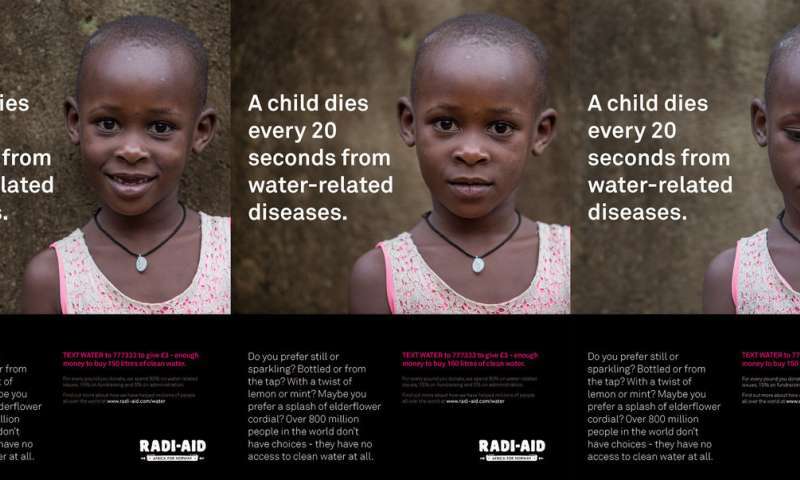 "Several of the findings support issues Radi-Aid has been highlighting through its campaign since 2012—that is, the typical image INGOs show of Africa is often a demeaning and dehumanising one, and the humans portrayed are more than what these images offer. Aid communication still needs to move away from presenting the single story." The report's lead author David Girling, of UEA's School of International Development, said: "This research is important as it gives people in aid receiving countries the opportunity to voice their opinions on the type of imagery used to depict their continent. Instead of stigmatising poverty and focusing on problems, we hope that aid organisations will respond by showing the positive outcomes of development programmes too." Radi-Aid Research is a collaboration project between the Norwegian Students' and Academics' International Assistance Fund (SAIH) and the School of International Development at the University of East Anglia. The Radi-Aid Research report launches November 30th.